Frasers Property Australia ) has secured its first tenant in Horsley Drive Business Park, which will be the first six star Green Star industrial precinct in Australia. 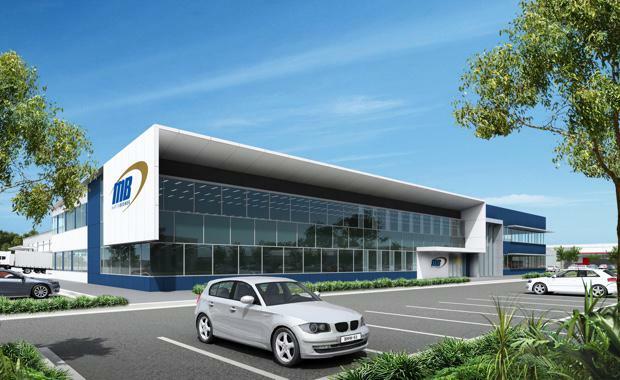 Martin Brower Australia has entered into a 20 year lease for an 18,559 sqm facility comprising warehouse and 3,000 sqm office space. The facility will accommodate dry store, chiller, freezer and chilled staging areas in the warehouse. Horsley Drive Business Park is a 20.4 hectare site owned by the Western Sydney Parkland Trust (WSPT) and is located on the corner of Cowpasture Road and Horsley Drive. Frasers Property has entered into a development agreement with WSPT to deliver a high quality industrial estate with a mix of facility types. Horsley Drive Business Park is ideally situated in an established industrial precinct with access to a large and experienced workforce in the vibrant and fast growing Western Sydney precinct. Frasers Property has developed and owns over 1,200,000 sqm of office and industrial buildings that are certified or registered under the GBCA’s Green Star rating system, including both Design & As-Built and Performance ratings. The company has achieved Australia’s first Green Star Performance (Operational) rating for its portfolio and is committed to delivering a minimum five star Green Star rating on all new industrial developments that are to be retained by the group.